One of the most popular questions I get asked is “How do I get a limit increase or big limit on my credit card?” It’s really quite simple actually as the banks would love for you to have a higher credit card limit as they think you would swipe more! For those who know me, you know I don’t promote debt and I educate on how to manage credit properly. One of the biggest ways of managing your credit properly is to know what your limit is and how you can increase it as well. Lets get to it! Not too long ago, consumers would call their credit card provider and ask for a limit increase. During that process, they would ask the consumer a few personal finance questions pertaining to income and outstanding debts. The conversation usually ended with the consumer consenting to a Hard Credit Report Pull and the financial institution finalizing the approval or decline. The process is similar today, but the difference is that now the consumer can request a limit increase online and some credit card companies have “Soft Pull” technology in which the inquiry won’t ding your credit. Usually it takes about 5-7 inquires or month within a 2 year period to show that you are looking for credit somewhere and in that case your score may take a small small dive. Keep in mind, these inquires that affect your score are called “Hard Inquires” as the consumer gives the financial institution permission to get and updated credit report. Either way, hard or soft, asking for a limit increase is the best route to go. Be sure to ask especially if you have made your payments on time for at least the last 6-12 months. This also increases your utilization if your balance is close to the limit. This may sound like I am preaching to the choir but you would be surprised how many phone calls credit card companies get from consumers asking for a credit card limit increase and they have been late a few times with their monthly payments. If you make 90% or more of your payments on time, you better your chances of getting your request approved for a higher credit card limit. When most consumers first start on their credit card journey, they get offers in the mail or email, they then apply, and then of course get approved. The problem is that consumers think that these “Entry Level Credit Cards” will eventually get them into the 3K and above credit limits. Don’t get me wrong, there are many card holders with 20K limits and such, but for the sake of this blog, lets keep it simple and easy. My point is that you need a stronger card company or card period as your credit has, or should be, stronger than when you first started your credit card journey. For example, when your score increases, the offers in the mail change dramatically. Companies start offering 0% Balance Transfers and all sorts of perks as the consumer becomes more credit worthy. Usually, those are the credit cards that provide 3K and much higher limits based on payment history, utilization, income, and of course, your credit score. Banks love when their clients use their credit cards but they love it more when the client carries a balance. Carrying a balance means not paying the monthly billing statement in full and only making the minimum payment. If the consumer decides to go this route, the bank will charge interest on that balance for the next month. Also, depending on your balance, the utilization can be too high. Utilization is calculated by the Balance divided by the Limit. An ideal utilization is 30% or less. FICO High Achievers, 760 and above scores, have a 0%-7% utilization. The key is to have access to a lot but not using it all. If this is the case, the consumer will have a much better chance of getting a limit increase as it is not a desperation move based on a high balance. This is popular with consumers that have a “Secured Credit Card” as they are used to making a deposit anyway to obtain a certain line of credit. With an “Unsecured Credit Card”, a deposit is not needed to get approved for the card but some credit card companies make let the consumer make a deposit and thus have a higher credit limit. Once again, the consumer has to use raw or liquid cash (real money) to deposit into the credit card company and then receive the higher limit. This is the last option as some consumers would rather not deposit money just to have a higher limit or let alone have the money to do so. 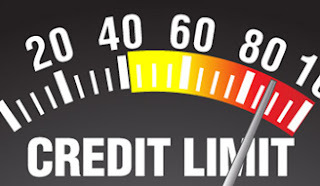 Hopefully this post helped you along your journey to a higher credit limit. With these few things, you are bound to get your request approved by the credit card company. I myself was tired of my low credit limit. So I followed these same steps along my journey and before I knew it, I received a higher limit. Be sure to share this with someone that can benefit from this information as well. See you on the way to the #850Club!!! PreviousPrevious post:How To Finance A Car With A Previous RepossessionNextNext post:No Credit Or Bad Credit. Which Is Better?